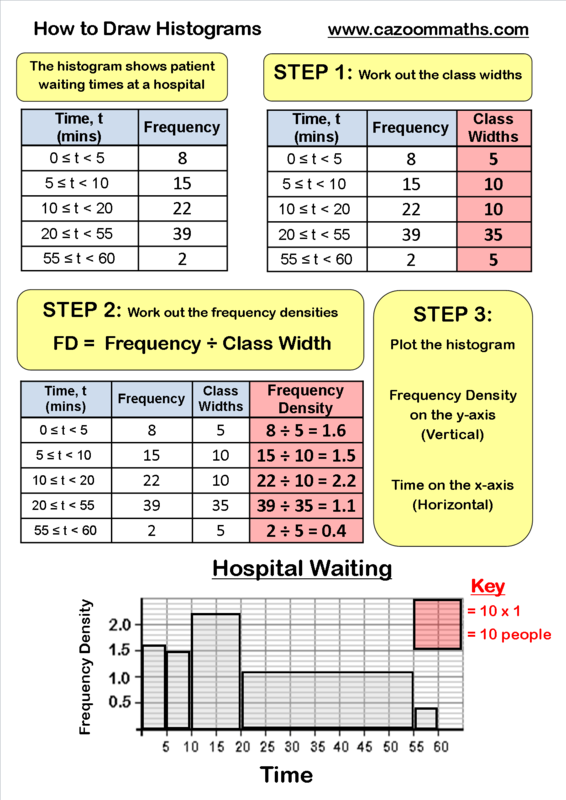 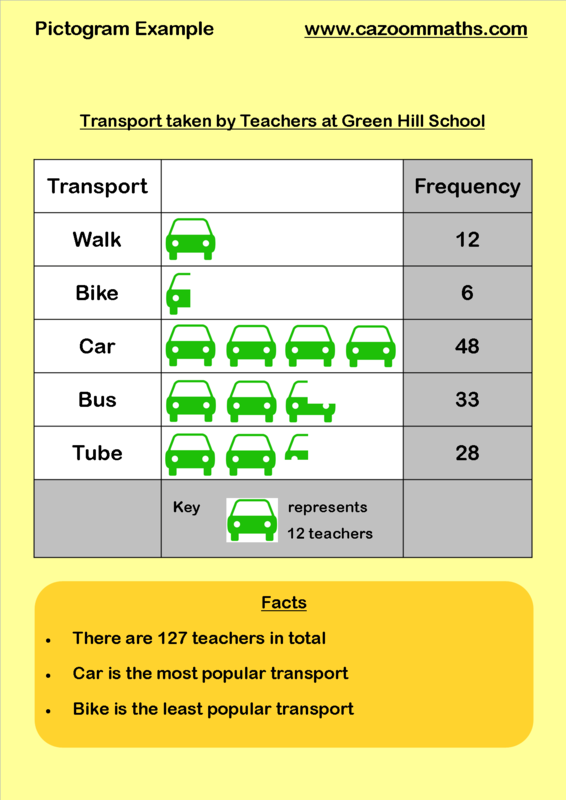 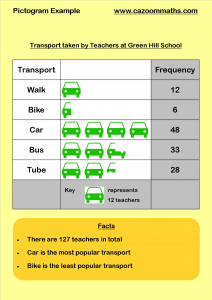 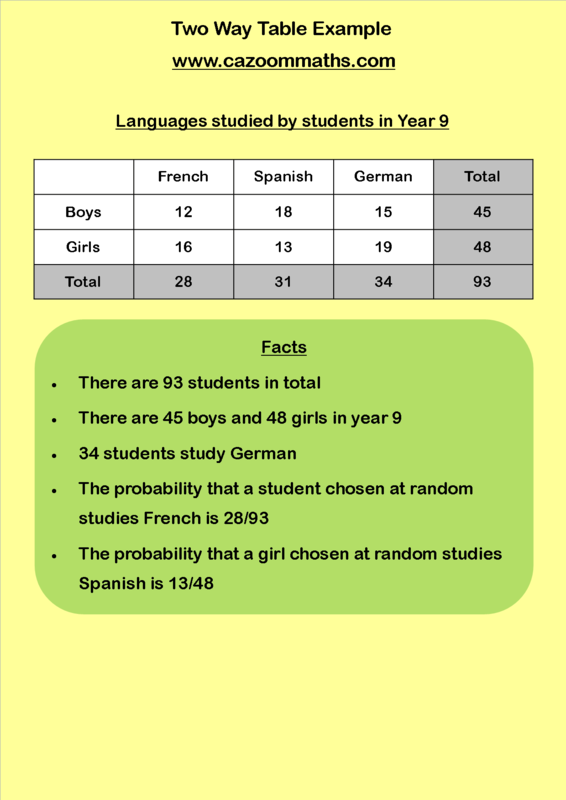 Our statistics resources were created to help students develop essential skills of interpreting and analysing data. 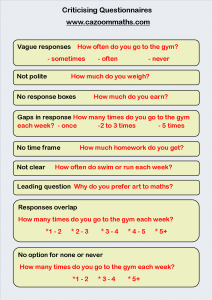 All of the information is presented in a clear and engaging way, and answers are provided with all of our worksheets to help track students’ progress and prepare for GCSEs. 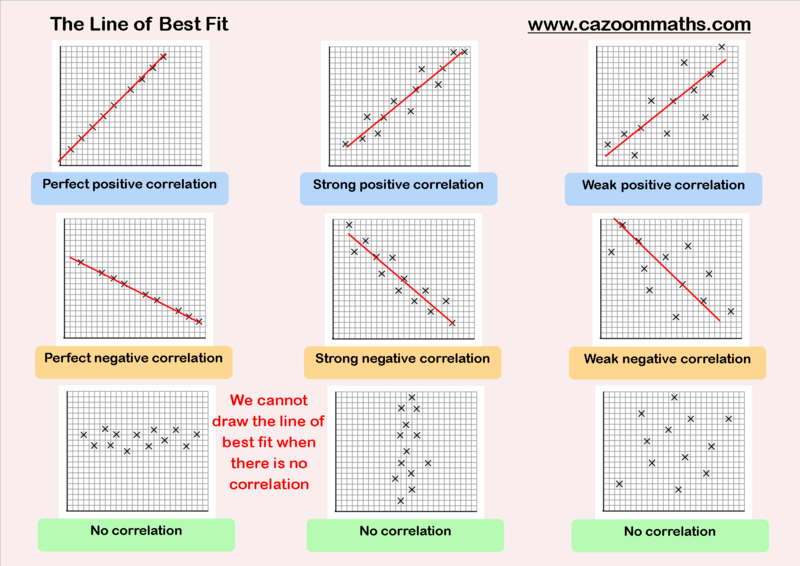 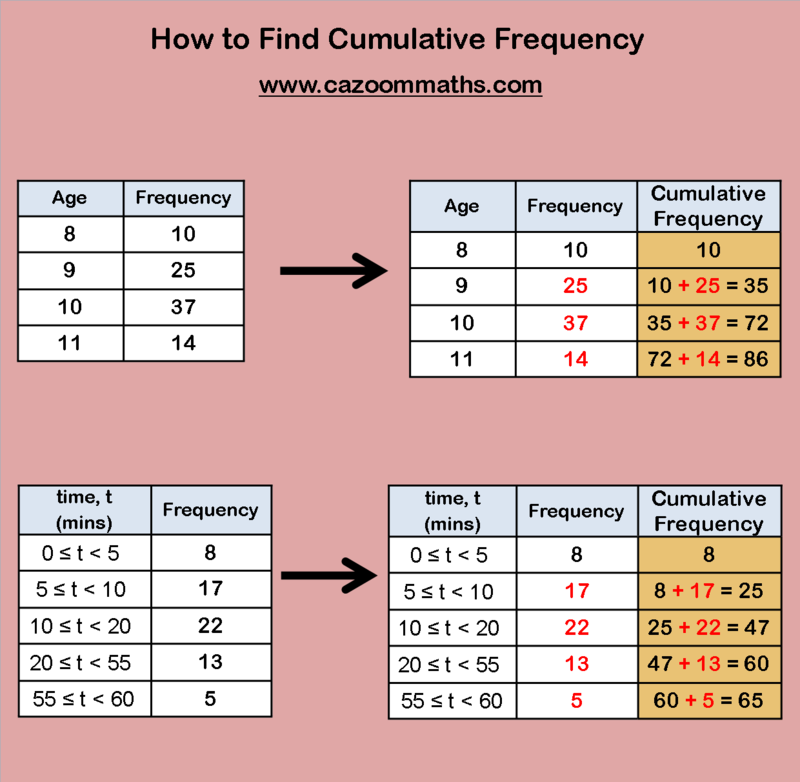 The range of activities and information available on Cazoom Maths will prepare kids for any type of statistics question they may face, and help their confidence grow. 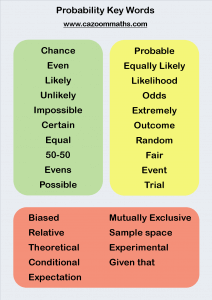 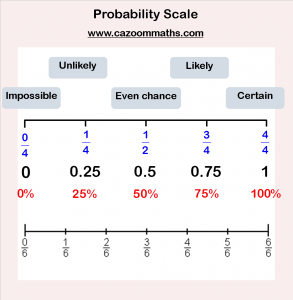 We have resources available which cover probability, averages, graphs and more, so we really do tick all the boxes when it comes to statistics. 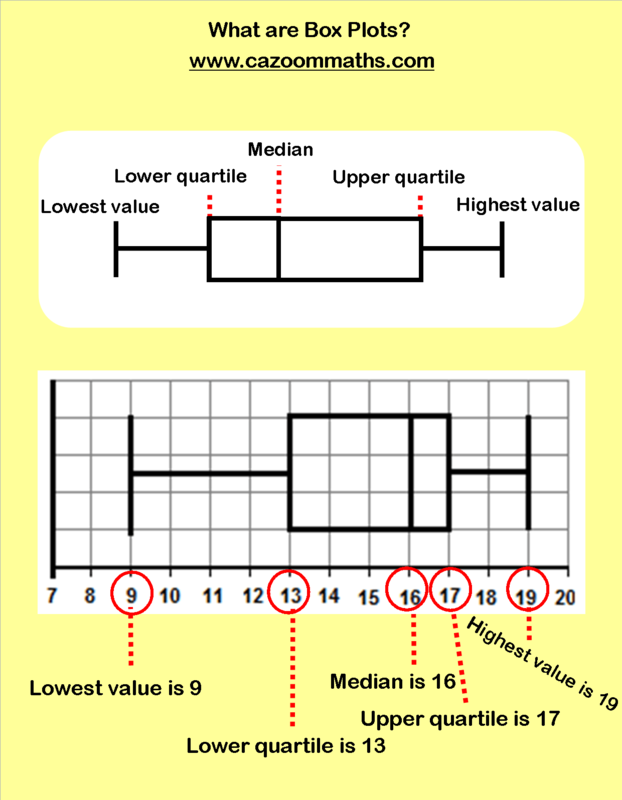 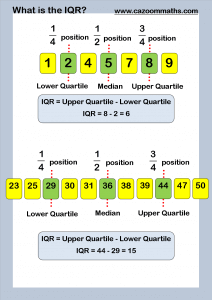 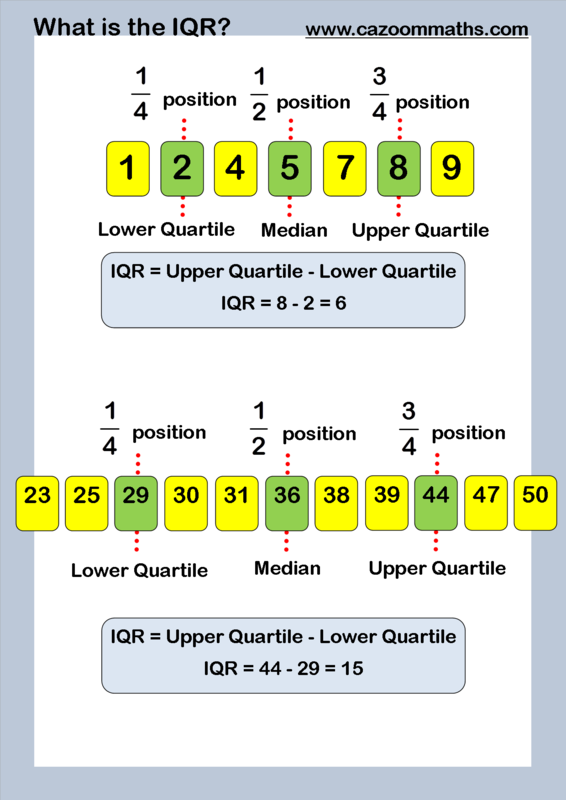 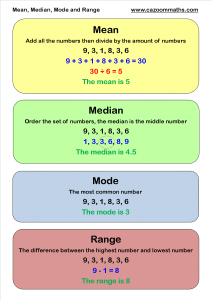 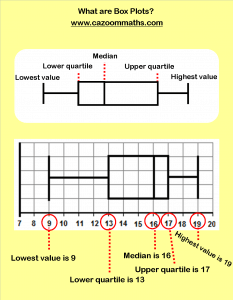 What is the Inter Quartile Range? 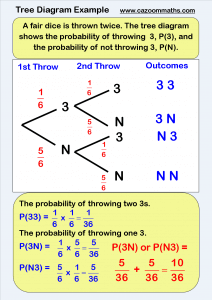 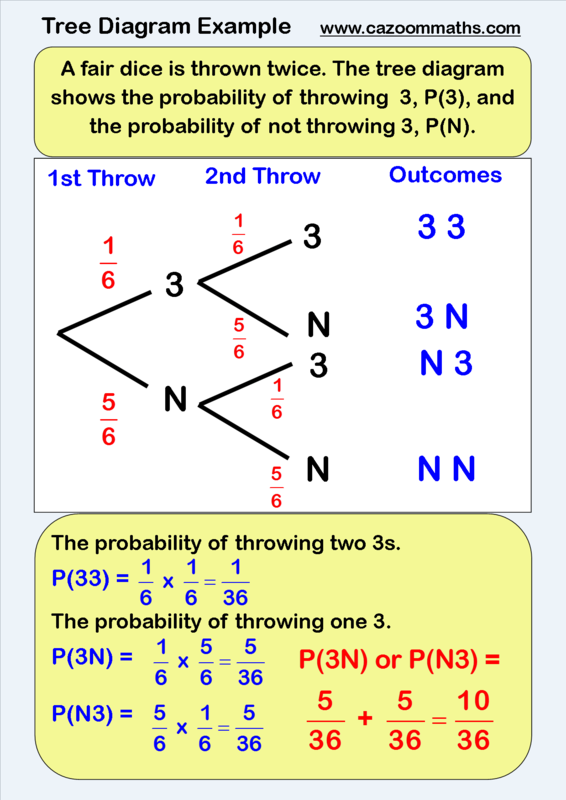 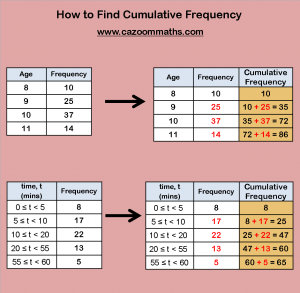 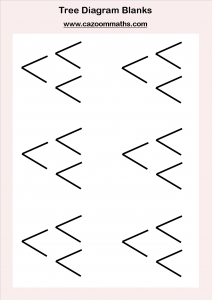 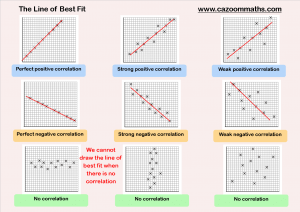 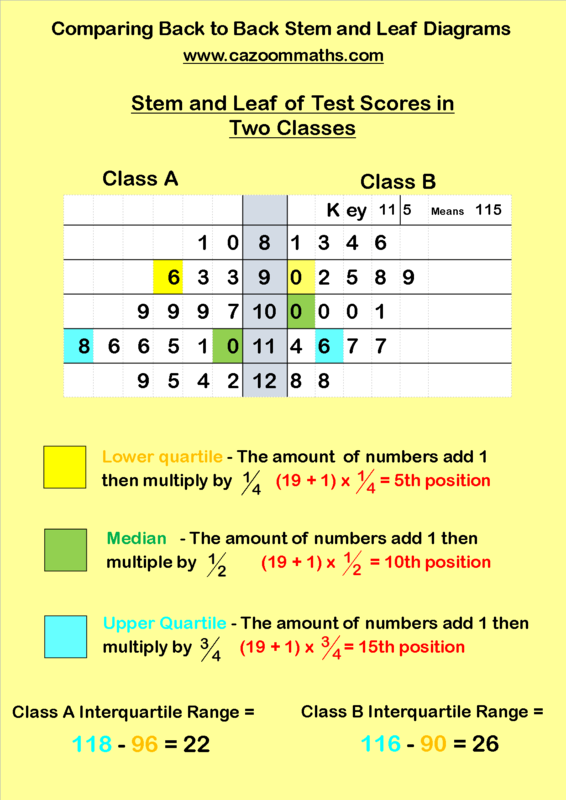 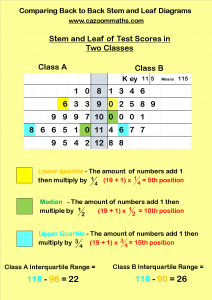 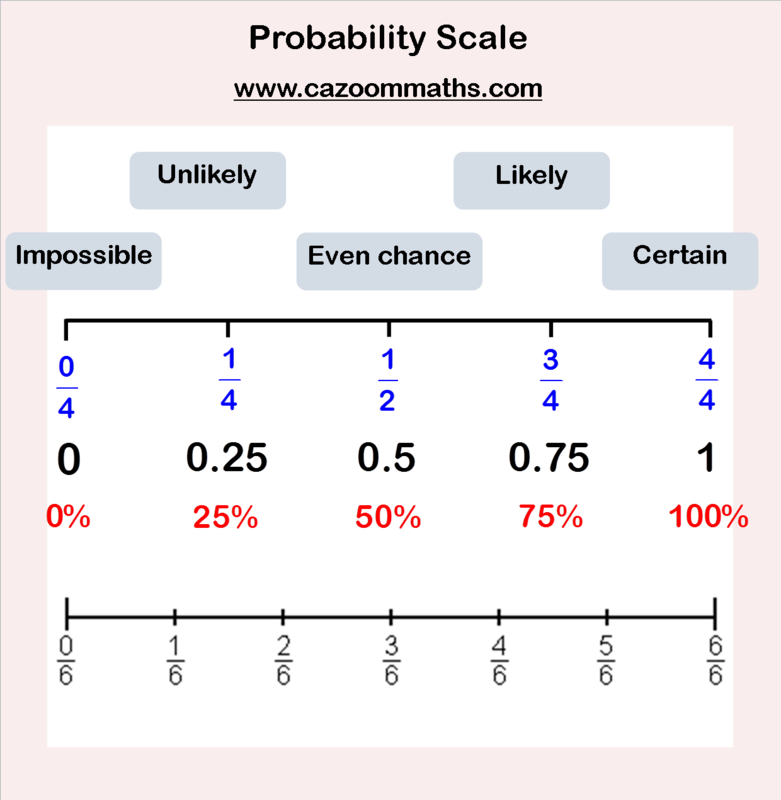 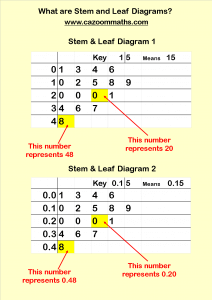 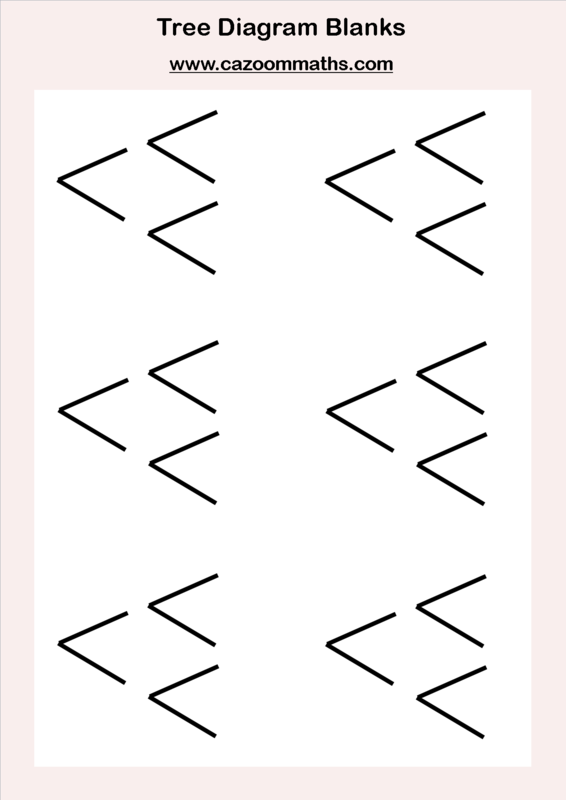 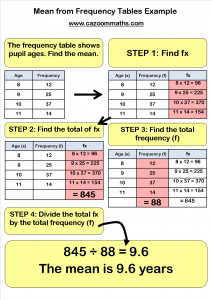 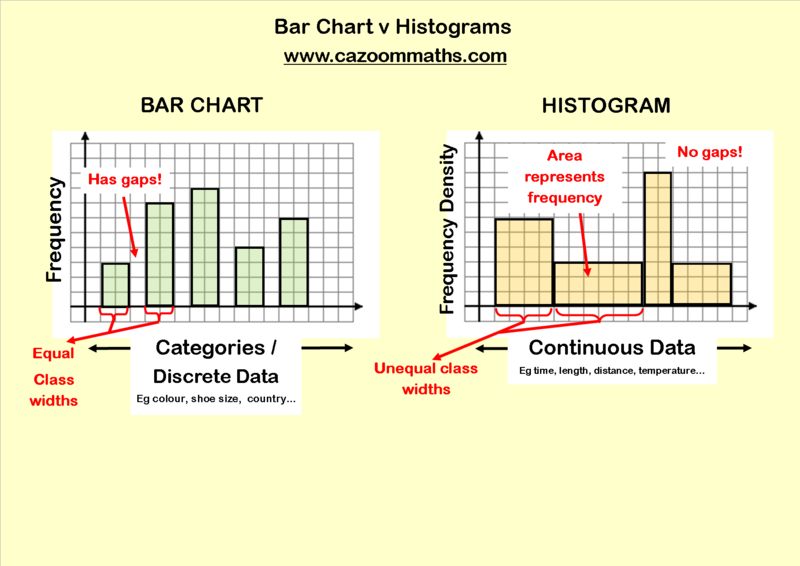 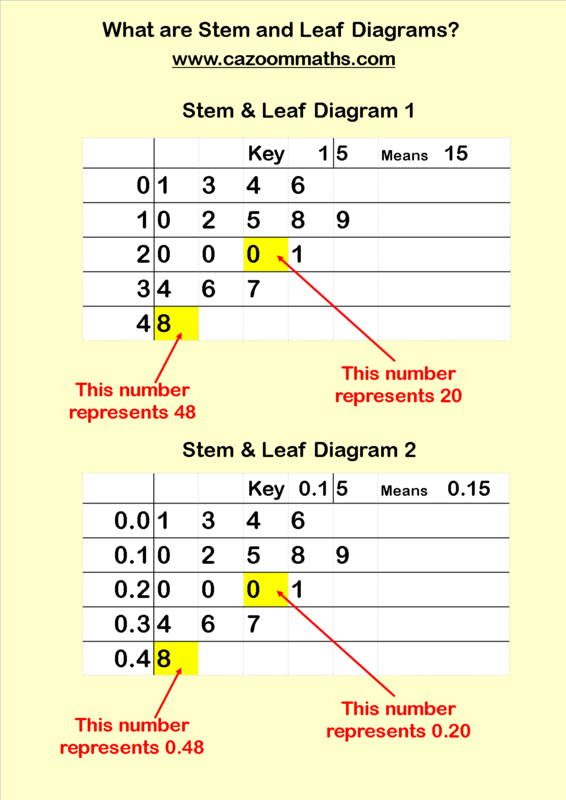 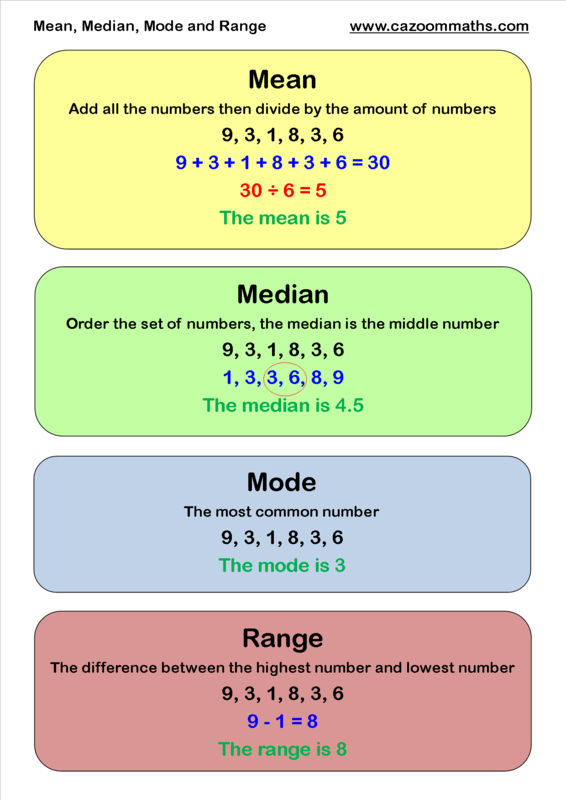 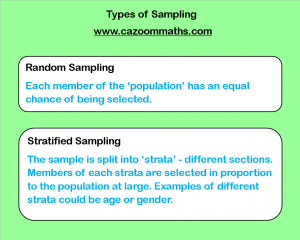 Use Cazoom Maths for easy to follow statistics resources suitable for all levels and abilities. 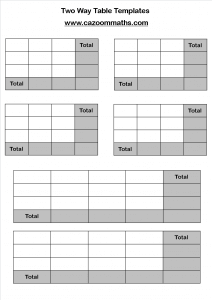 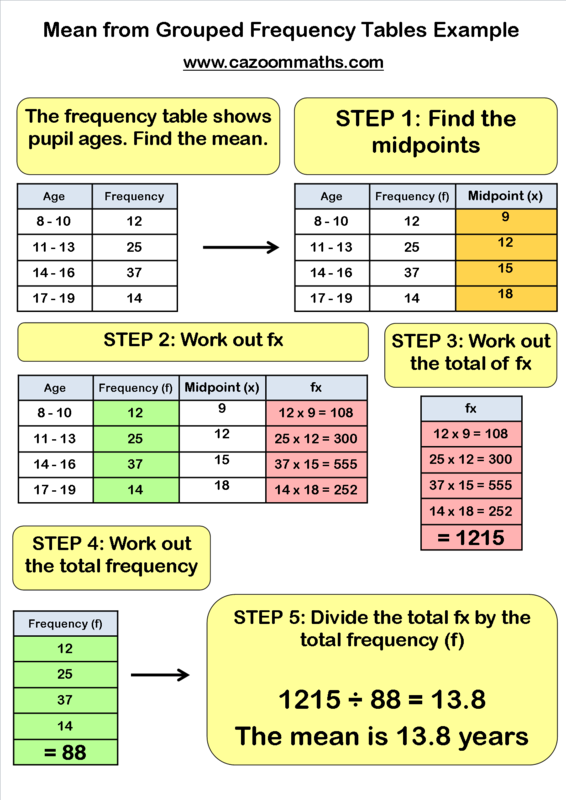 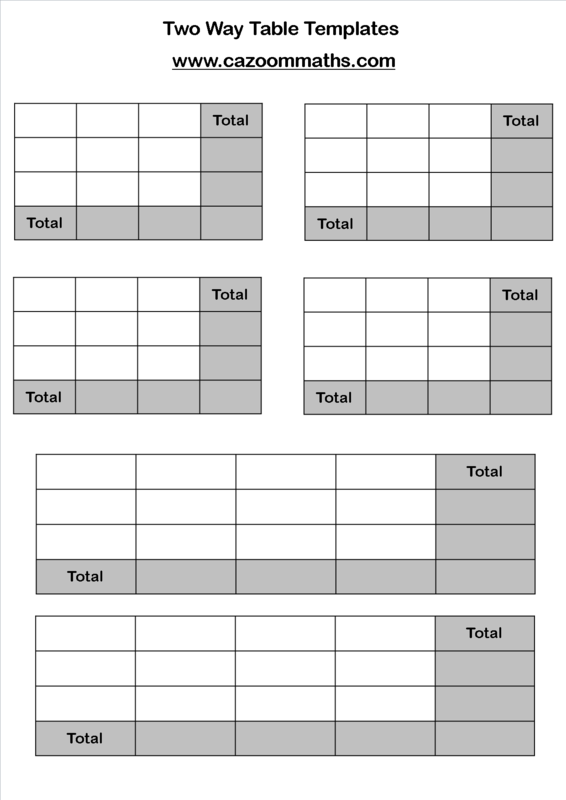 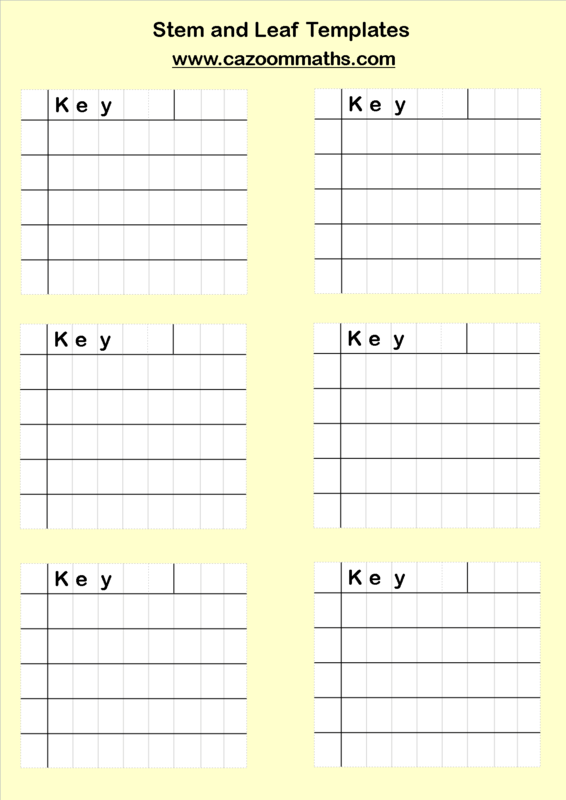 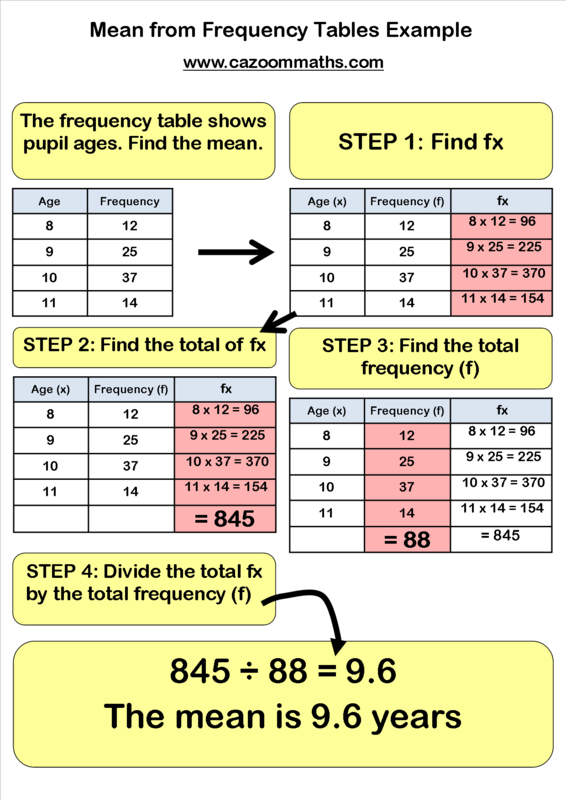 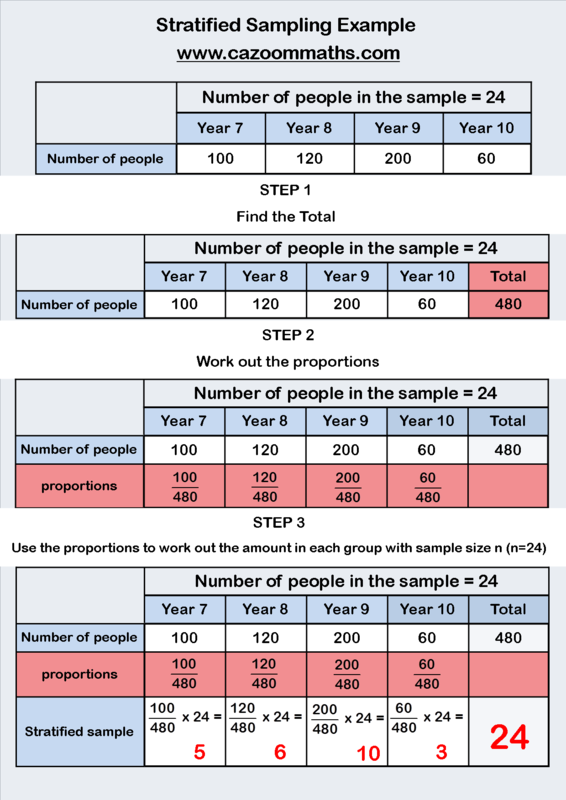 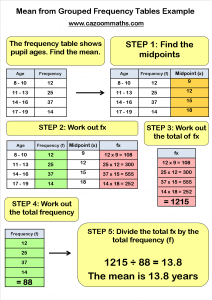 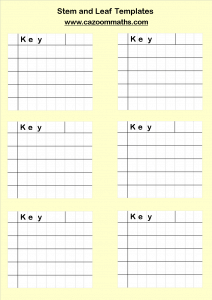 Our resources contain all the information your child or pupil needs to get to grips with statistics, and our problem sheets give them plenty of opportunities to practice their skills. 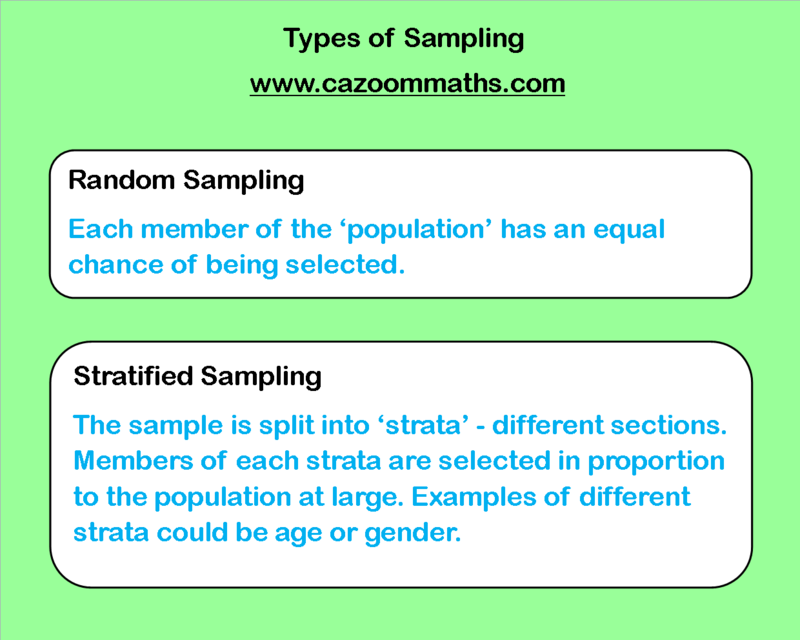 The statistics materials available through Cazoom Maths help students master all the topics they need to know and make statistics fun! 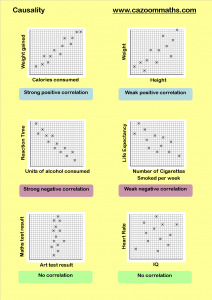 Statistics are all around us. 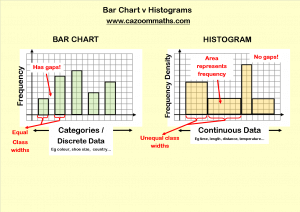 Every piece of knowledge we claim to know is backed up by statistics at some point. 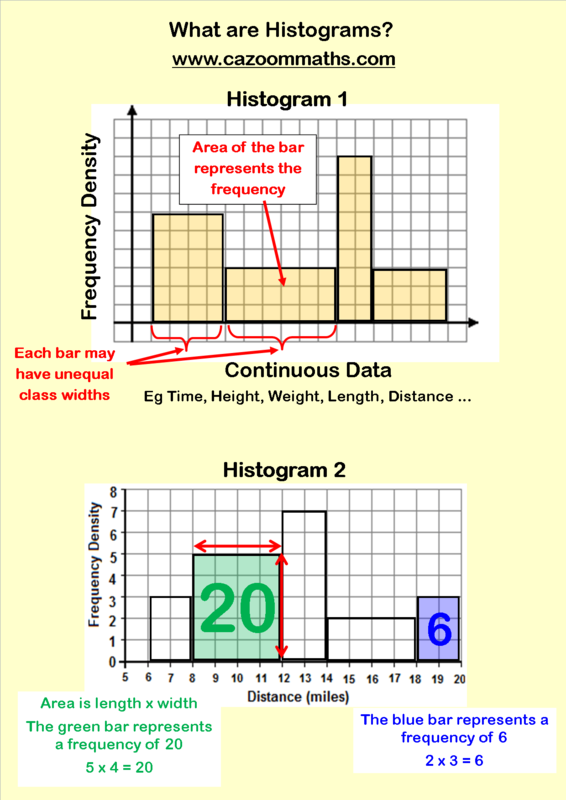 Statistics is the practice of collecting and analysing quantities of data, and can be used across many disciplines other than maths. 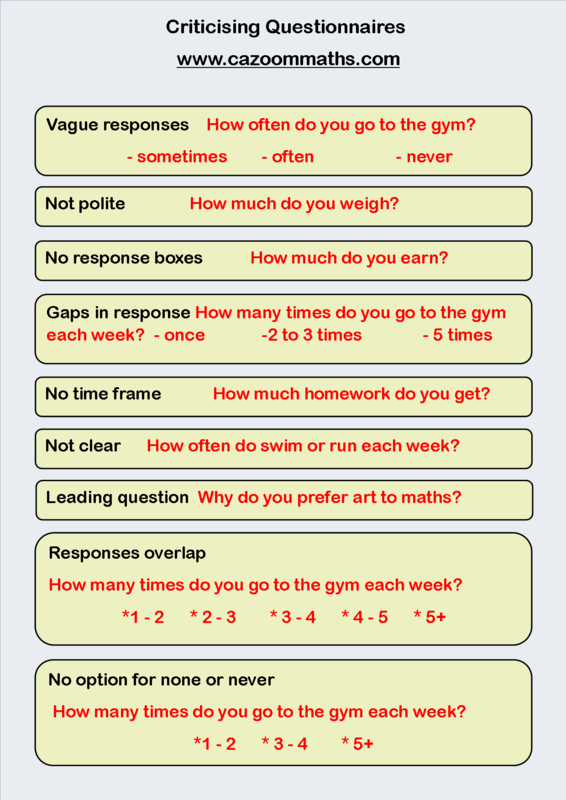 Every time a survey is conducted, statistics will be used to organise the data collection, analyse the data, and interpret it in order to draw a conclusion. 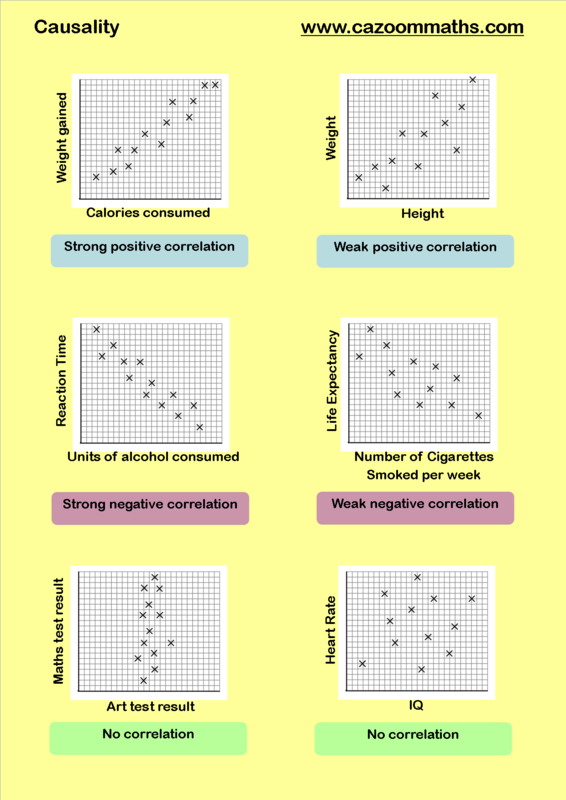 This could be a scientific study, a survey within the workplace, or any other situation in which data will be collected. 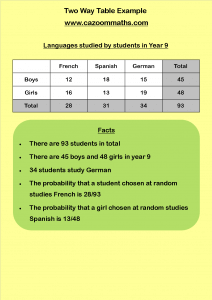 Statistical skills and knowledge are very important in our daily lives, so it is important to make sure children are confident on this topic. 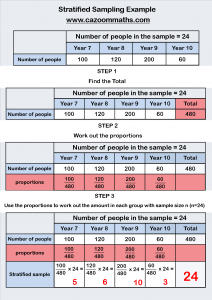 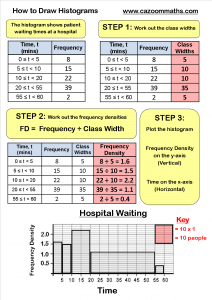 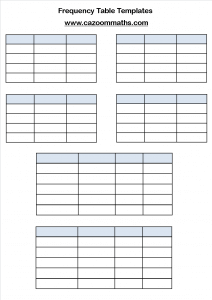 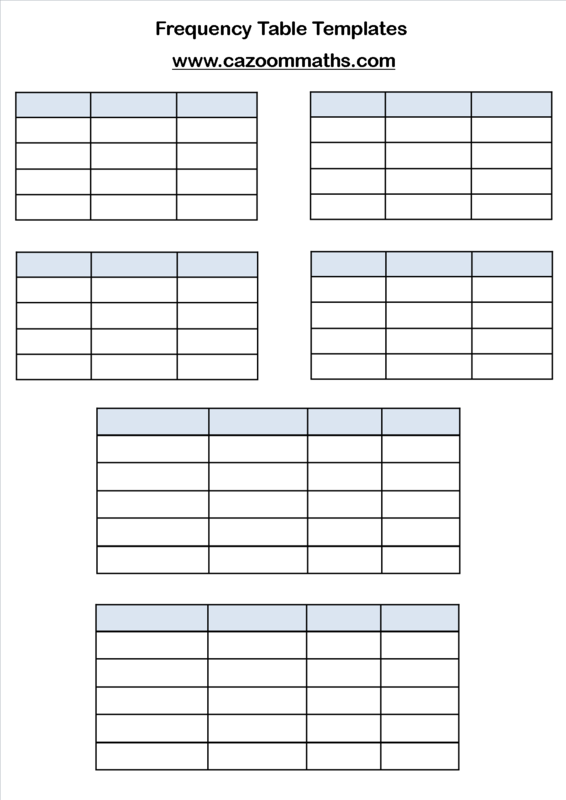 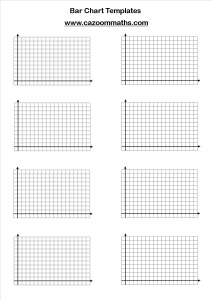 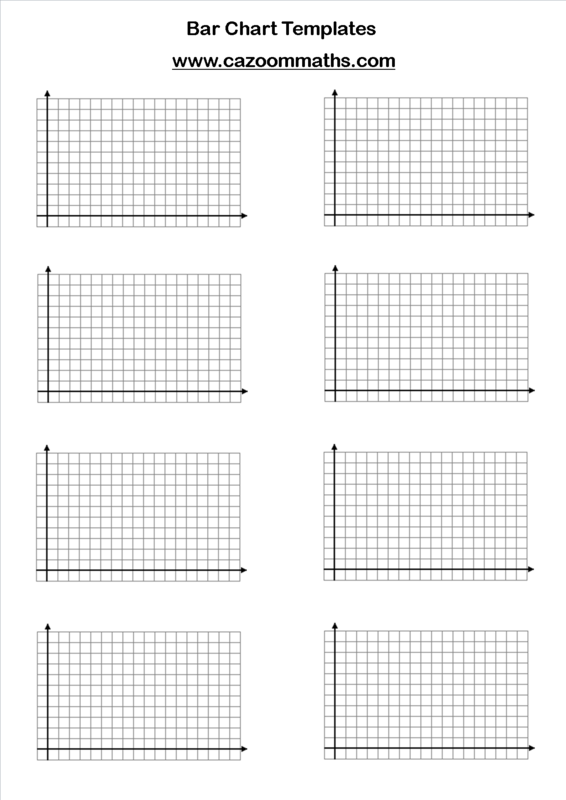 Statistics worksheets are an excellent resource to help students master this important topic. 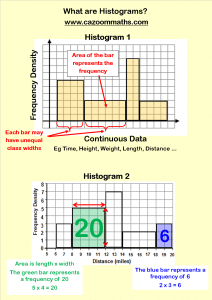 Knowing about statistics enables us to think critically about the world around us. 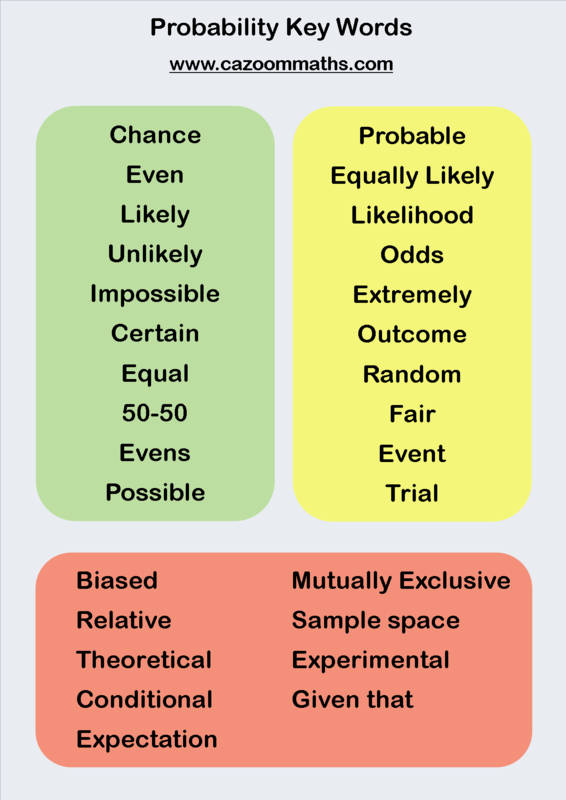 A friend might claim that women cause 80% of car accidents, but knowledge of statistics will tell you not to trust that fact until you know more about the sample size, whether there was a bias in the sample, and where the data came from. 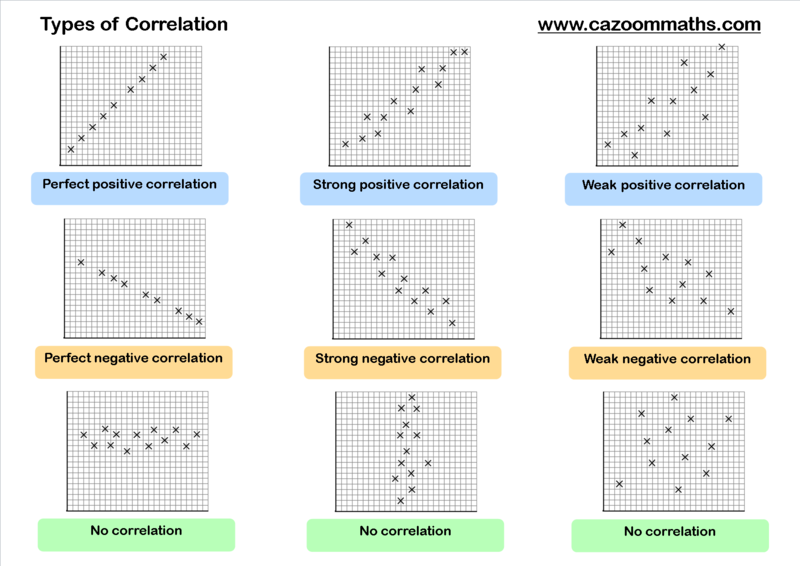 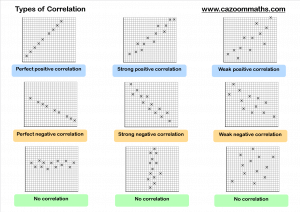 Those who know about statistics know that correlation does not necessarily equal causality, and that tight analysis is needed to establish whether there is a causal link between two or more concepts.